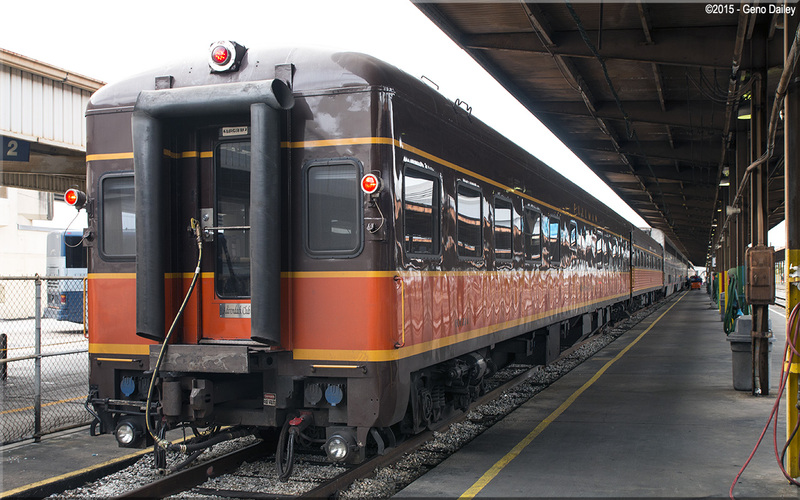 Built by Pullman-Standard in 1950 as a Sleeper-Buffet-Lounge for the Chesapeake & Ohio Railroad and numbered 2500. Rebuilt as a Diner-Sleeper in 1961 and renumbered 1923 by the C&O. Conveyed to Amtrak in 1971 and numbered 8200 and operated as a 32 seat diner with 3 double bedrooms. Retired by Amtrak in 1978 and sold in 1981. The car would end up in private ownership, having had multiple owners and would also change names to "Cascade Ridge", "Greenbrier Club", and "Goombay Sunrise" before eventually being purchased by Iowa Pacific Holdings for its "Pullman Rail Journeys" service that operates on the end of Amtrak's City Of New Orleans train. Under IPH ownership, the car was repainted into its Illinois Central-inspired paint scheme, named "Adirondack Club" and numbered 3312. The car also has an Amtrak Private Car #800224. Historical information about this car provided by www.amtrakbythenumbers.com, Trainorders.com, and rypn.org.